It’s a dangerous scenario that is, unfortunately, all too common – a homeowner deliberately deactivates a sounding smoke alarm and leaves the device disabled, opening up the entire household to a high risk potential for undetected smoke and fire. 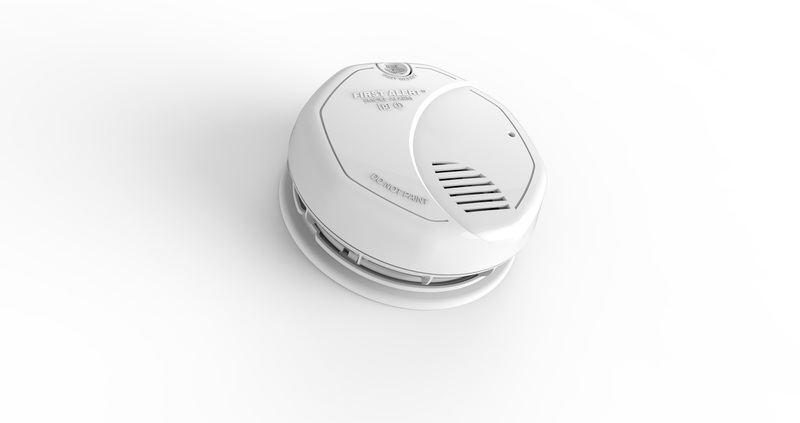 During October’s Fire Prevention Month, First Alert and the LCWA PR team encouraged homeowners to “double team their safety” by updating their alarms to the new First Alert 10-Year Dual Sensor Smoke and Fire Alarm. The team also underscored the importance of checking smoke alarms and following national installation guidelines. The National Fire Protection Agency (NFPA) and other local and national safety advocates recommend installing dual-sensor alarms, such as the new alarm from First Alert, because they provide the best potential for early detection of all types of common household fires while helping to reduce the number of non-emergency or nuisance alarms. Make sure that your home is protected from fire by following the guidelines set by the U.S. Fire Administration (USFA), which recommends that homes have smoke alarms installed inside every bedroom, outside each sleeping area and on every level of the home, including the basement, and one CO alarm on each level and in each sleeping area. To put this into perspective, the average-sized home in America – a two-story, three-bedroom house – needs a minimum of five smoke alarms and four carbon monoxide alarms. Looking to upgrade your smoke and CO alarms? You can pick up the latest from First Alert at FirstAlert.com.